With 'Viadoom,' January was a rough month for some of the shops at Seattle's historic Pike Place Market. Now shopkeepers are warning that the planned closure of a short, unloved roadway tunnel may suffocate them. Jack Mathers has been running fish in and out of the bricked byways of Pike Place Market for 37 years. So he figures he knows something about getting around. “Every alley, every slick side route you can think of to get in or out of here,” the longtime fish monger said amid bins of salmon and oysters at Jack’s Fish Spot in the Market. Pike Place Market is routinely called the soul of the city, “Seattle’s best idea.” But the shopkeepers are not feeling so central or loved down there at the moment. The issue is one I wrote about a year ago — the permanent closing, starting this weekend, of the Battery Street Tunnel. The 65-year-old tube under Belltown is only a third of a mile long. But because its southern entrance is right next to the Market, shopkeepers there say it’s more crucial to their businesses than any of the big-ticket transportation projects the state, city and media typically are focused on. 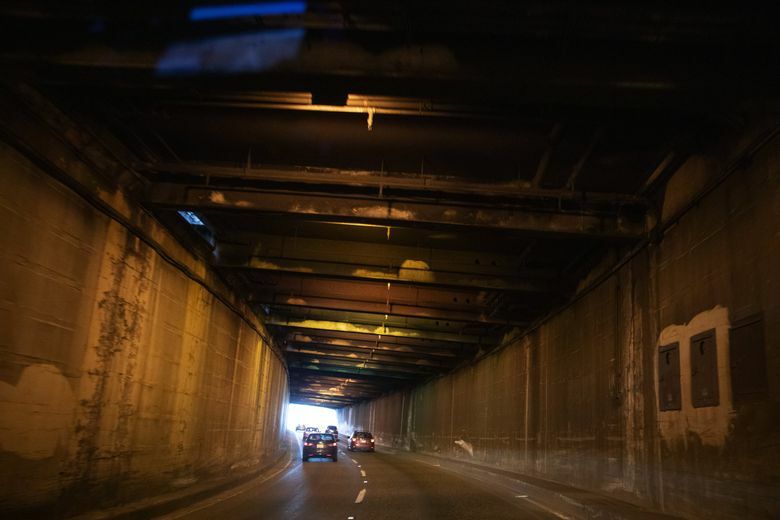 The state’s plan, endorsed by the city, is to break up the now-closed Alaskan Way Viaduct and then dump the rubble into the Battery Street Tunnel, closing it off forever. The city and state have already decided to do this, I tell them. The City Council voted last March. You’re too late. But I never heard the Market mentioned in all the talk back then. The upcoming pinch on the 500 small businesses there ought to prompt a second look. The problem is the Market is sandwiched by the viaduct on one side, and First Avenue on the other — with both slated to become major construction sites for the next few years (First Avenue due to the eventual streetcar project). The shopkeepers argue the old tunnel is the best way left to get there and away. It’s a fantastic, pragmatic idea. The beauty of the homely old tunnel is it directly connects the Market and the waterfront with Seattle’s new downtown, South Lake Union. It passes under the most clogged east-west arterial, Denny Way, and also links anyone at the north end of downtown with Mercer Street to go to Interstate 5. Currently the streets are so clogged in the afternoons it can take 30 minutes or more to drive that third of a mile on the surface. Everyone agrees that, long-term, the Market will be fine. The removal of a noisy double-decker freeway on the Market’s back side will open it to the waterfront, which, when it’s all done, will be great for business. But Mathers says the month of January, with the “Viadoom” shutdown, was his worst for fish sales in years (compared to previous Januarys). Newbold said it was his lowest in at least five years. The highway closure didn’t result in gridlockalypse, as some had predicted. But “that’s because nobody came down here,” Mathers says. This is not something to mess around with, City Hall. The Market is the soul of this city, definitely our best idea. Is it too much to ask to throw it a temporary lifeline?